Gateway College has come of age in rowing, a sport that was introduced in the school not so long ago. At the recently concluded Senior Nationals, where the elite athletes from rowing institutions around the country, Gateway scullers won three medals. In the Under-18 category, Amitabh Piyadasa secured a silver in the single scull, coming second only to the national athlete Suhith Alexander who has represented Sri Lanka at the Junior Asian Games. Being a fresher who is only 16 years of age, Amitabh has come a long way in the sport. His timing of 7.42, is not too far behind the Under-18 Sculling record in the 2-kilometre course. 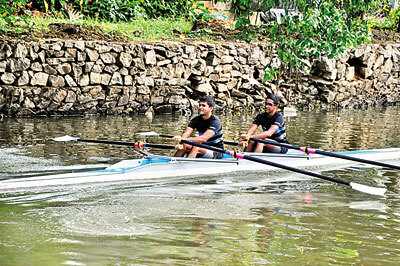 Gateway’s dynamic duo, Shanuk Pinto and Skipper Ramindu Delwala secured a silver at the Under-18 Double Sculls. The double made much improvement from the bronze that they won last year to qualify for the national team. Gateway also managed to bag the bronze in the same event with Amitabh Piyadasa and Javed Refai. Being a newcomer, Javed too has shown much potential in his very first regatta. The rest of the young team also showed remarkable improvement. Encouraged by the commitment of the young rowers, the Directorate of the school has invested in a new pier in the water way adjacent to the school. 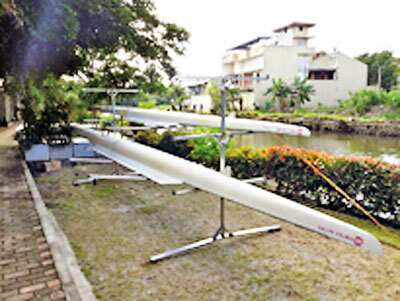 With the installation of the new pier, Gateway College launched rowing in the school itself on its Founder’s Day on the October 3. 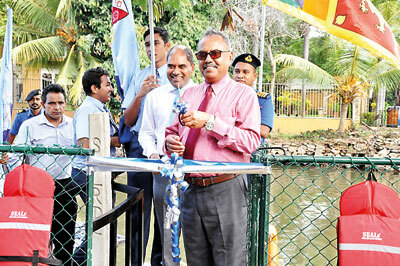 The new pier was declared open by Asela Iddawela, the Chairman of the Sri Lanka Land Reclamation and Development Corporation. Speaking at the event, Dr. Harsha Alles, Chairman of Gateway said, he is very pleased to see the commencement of rowing in the school premises on R.I.T. Alles’ 85th birthday. “Mr. Alles was always a lover of sports. The new initiative will encourage and motivate the youngerstudents to join this exciting sport,” Dr. Alles said.